Facebook Cover Photos are for the public. All visitors of the page can see them. This is a very interesting feature for administrators who want to highlight a particular message or simply give visibility and branding to their fan page. Though Facebook has updated its advertising platform which reduces the priority of a cover image, businesses still prefer the existence of a Facebook Cover Page. However, one should remember that the cover page should not be deceptive or misleading. Below are some Facebook Cover Photos for the new year. Have a look at them. What a jump it is? This New Year 2017 Facebook Timeline HD Cover uncovers the true potency of HD images. 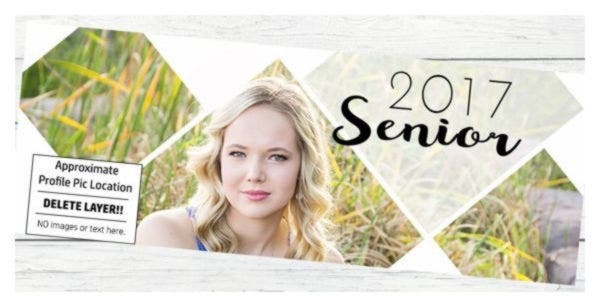 If you are looking for a colorful High Definition Cover for your Facebook, you are at the right place. This 2017 Happy New Year Facebook Cover Design can be your Facebook Background this week. It is designed with free fonts and you can change the color with one click. It just costs $2. 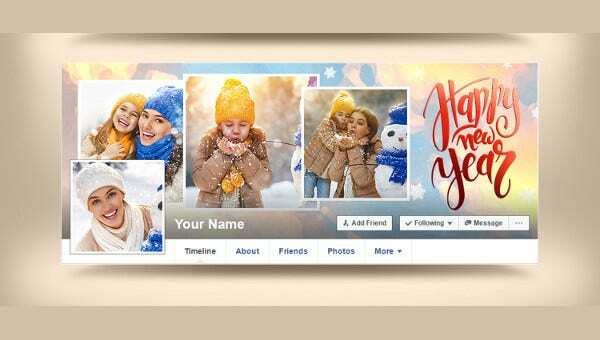 This 2017 New Year Facebook PSD Cover is also a great 2017 New Year Poster Template. Because having a nice cover image is essential and it helps to make a good impression on those who visit your profile for the first time. This Facebook Timeline Photoshop Template costs $5. The layered PSD file allows you to include 4 photos. It’s both a boy thing and a girl thing as well. That means both of them can make use of it. This Happy New Year 2017 Facebook Cover is another professional and 3D style Banner. It comes with a pure and golden color background. Have a fantastic holiday with this Facebook cover. This 2017 New Year Facebook Timeline is a layered PSD that sizes 851x315px with a high resolution of 72 dpi. All the fonts used are free. It costs $4. 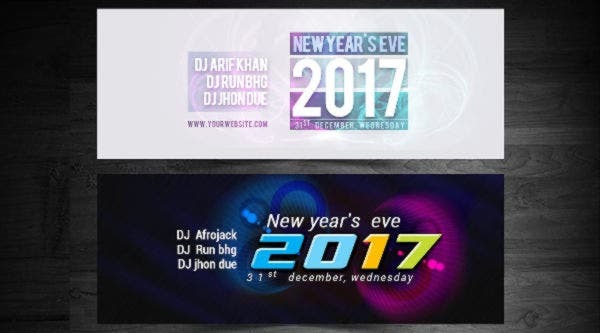 This Clean 2017 New Year’s Facebook Cover is a set of 2 fully layered PSD files that sizes 815x315px each with a high resolution of 300 dpi. It costs $3. This simple 2017 New Year Facebook Cover sizes 815x315px with a high resolution of 72 dpi. The RGB color code makes it ready to use. It is a free download for your use. You can decorate this 2017 Social Media Vector Cover as your Facebook timeline banner template this week. It is fully editable. That means, you can resize, move, and rotate this Cover photo. 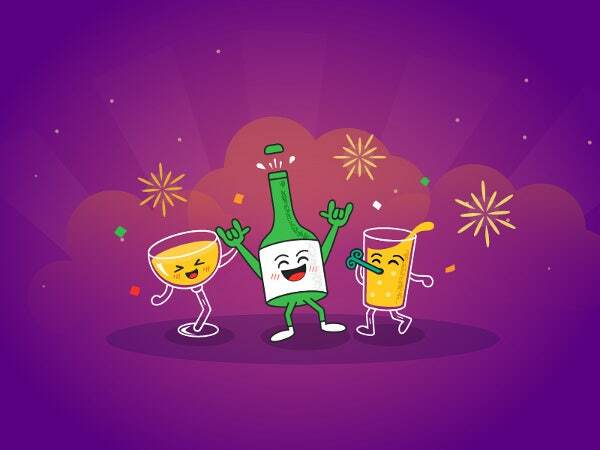 This Happy New Year 2017 Facebook Timeline consists of 2 styles. The layered PSD file sizes 815x315px with a high resolution of 72 dpi. How are the new Facebook Covers? We hope they comfort you. However, one needs to remember that along with a good cover photo, size and positioning of it also matter. Facebook Covers matter, because they are the first contact that catches the attention of the visitors. Therefore, we recommend the above.